Johnny Mac is at it again, and this time going a tad further than the marathon distance. I post this sort of stuff cos it’s fun, interesting and for a good cause. Also, there’s a bit of me that thinks it gets me out of doing any running myself. Anyway, click on the link below and enjoy his pain, and chuck some money his way if you feel the urge. 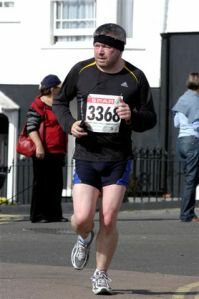 This entry was posted in Charity, Health, Marathon, Sport by The Ed. Bookmark the permalink.